The pretty velvet pumpkins that I made this year for Fall and Halloween add a lovely soft texture to complement the sparkle of the Mercury glass pumpkins and gourds. Its a wonderful combination. The velvet pumpkins have a very subtle texture and soft coloring that makes them feel a bit vintage, even if you know they are new. While unpacking the seasonal goods, I found some black and gold frames which were waiting to be painted in lighter color. For Halloween they are perfect the way they are. I might have to keep a couple the way they are and pack them away with the Halloween things. The stack of books starts with an antique Italian vellum book from the 1600's which I use all year around. The vintage book stack is topped with a white garden urn holding a mercury glass gourd. Sitting on the edge of the books is a paper and velum butterfly. The ravens got a little dressed up this year as well. One wears a handmade lace color, while the one in the top photo chose a black and white harlequin collar. That one was made from a wired ribbon. Cut off one side making it the width you need, and pull the wire in your cut piece to make the ruffled collar. Rounding out the display for the entry table is a tall black urn that was also tucked away and mostly forgotten. Now it is the perfect place to have another white pumpkin. This one is a ceramic one painted with Annie Sloan Chalk Paint (Old White and Pure White) but a foam pumpkin would work was well. Come back soon to see more Halloween Decorating for 2013. Thanks for the sweet note. I will try to remember to get over to your place this afternoon. Even though I'm not a spider loving person, I can't resist these glittery ones for Halloween! Happy decorating to you! Just beautiful, Donna! Your vignette would fit in perfectly here in my living room. : ) Love how you did the collars on the crows. I know how you love these colors! Thanks for your lovely comments. Thanks for stopping by and sharing this fun holiday with me! Bonitas imágenes,las calabazas blancas preciosas. Your Halloween vignette is beautiful. I love the white and black. Simple and classic. Thanks for stopping by. It's so nice to see so many people love the look of black & white. I just love the look of vintage in any vignette. Yours is truly fun to look at with the special touches of the little witch girl print and the crown on the pumpkin! Fun stuff! Love the black and white! oooooh, Black and white! Isn't it fun? Your Halloween décor is gorgeous! I admire your TASTE and GRACE of FORMS! ! ! Very STYLISHLY AND BEAUTIFULLY! ! GALLANT! ! ! What truly beautiful vignettes you have created here! beautiful! you can really feel the Halloween. 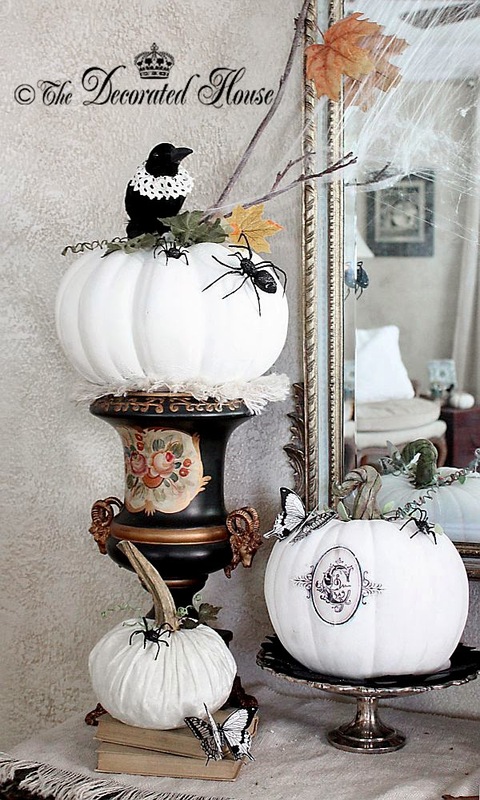 This is so gorgeous I love the urn with the white pumpkin. There are so much beauty with all these vignettes. I like the addition of the pieces around the crows. Thank you ladies for stopping by. I love sharing Halloween with others who enjoy it so much. It was so nice of you to leave your wonderful comments! 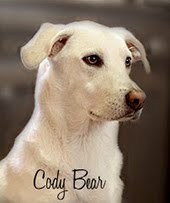 Thank you dearly for taking the time to share your time with me over at my place and better leaving a comment that adds joy to my posting and inspiring. I love your post its so hauntingly beautiful and perfect colours for my home decor. 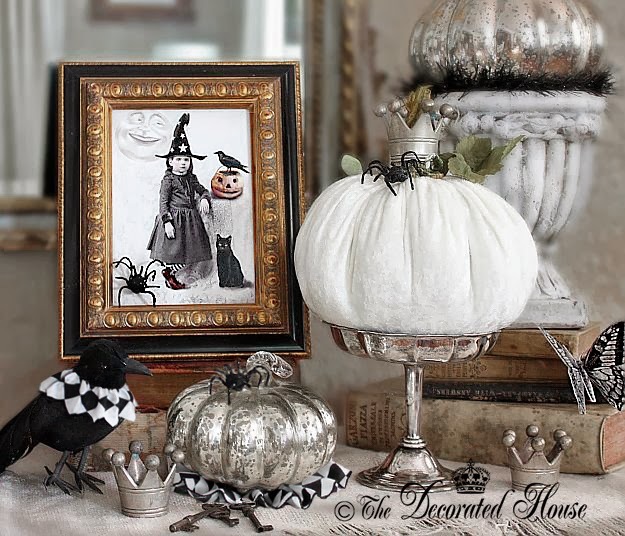 I just love whites, blacks, and silver mercury glass shades all in the Halloween mix. Thank you for sharing your sweet thoughts. And to all of you kind ladies who come by often and take the time to comment, thank you! Hope you have a most wonderful day! I agree, keep a few black and gold frames...they are exquisite!! !